Housing estates abandoned at various stages of completion in HCMC and neighboring provinces wear a desolate, even eerie look. The North Rach Chiec project spans 78 hectares (193 acres) in HCMC’s District 9. 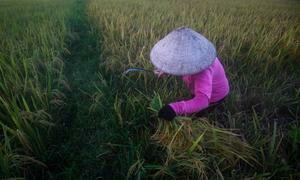 It lies on the banks of the Rach River and is only 7 kilometers (less than 5 miles) from the inner city. It was approved in 2001 to become a model residential area of the city, boasting villas, townhouses, high-class apartments, office buildings, commercial centers and schools. Its investor, Real Estate Joint Stock Company 10 (Res 10), completed site clearance and some basic infrastructural work, but it was found to have committed violations in land use and investment procedures. For years, the project has been left untouched. A group of apartments on Nguyen Van Huong Street in HCMC's District 2 has been left partially finished for ten years. 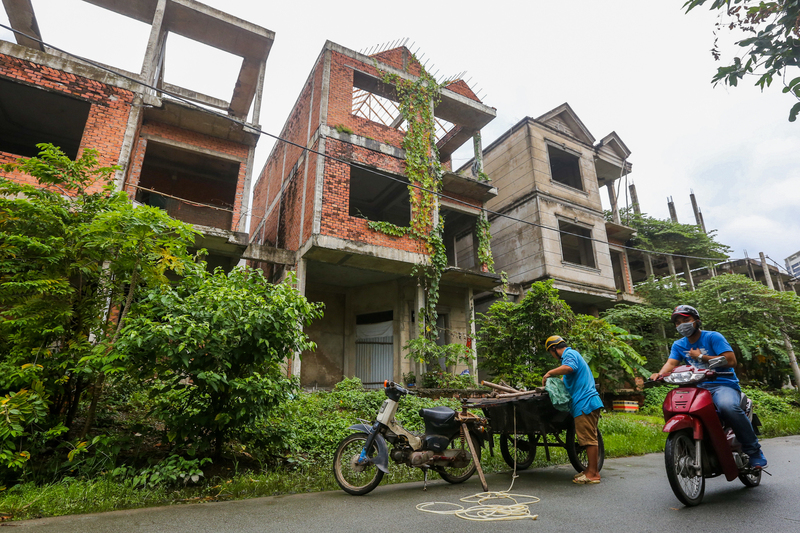 Nguyen Viet Sy, Deputy Chairman of Thao Dien Ward, where these unfinished houses stand, said the investor did not follow the 1:5000 scale plan approved by the city when building the ten apartments. The project was suspended in September 2011. Over the years, several families have taken shelter in these abandoned houses. The story of unfinished and abandoned projects is repeated in Binh Duong and Dong Nai, provinces that neighbor HCMC. This is an aerial view of the Binh Duong New City. 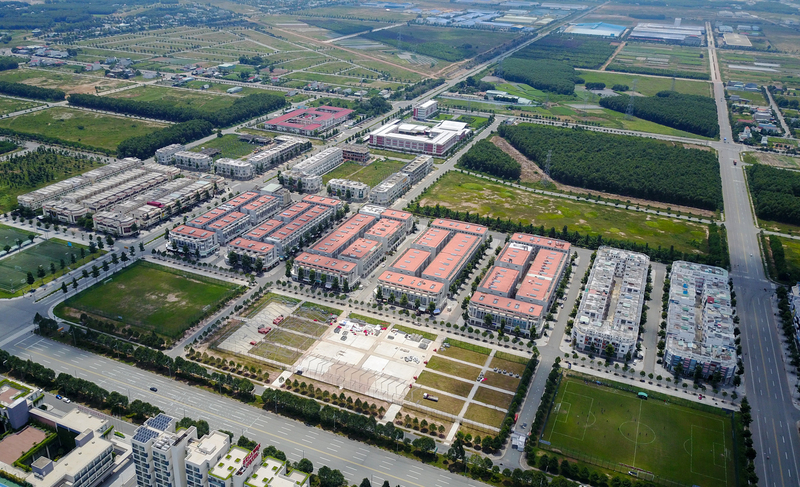 Binh Duong Province started to build this new city in 2010 on an area of 1,000 hectares (more than 2,400 acres). The new city was to have an administrative center, a hi-tech park, financial institutes, hotels and office buildings, exhibition centers, a university and public areas like squares and parks, as also kindergartens and hospitals. Hundreds of street-front houses were a highlight of the Binh Duong New City project, but many of these have been unoccupied for years. Real estate industry insiders say that each townhouse here measures more than 100 square meters and costs VND3-5 billion ($129,000-215,000) each. 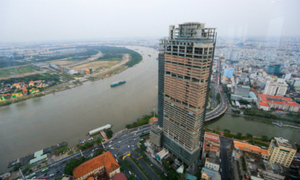 Given the location and the price, these apartments are not attractive because, for the same money, one can easily afford a house in Ho Chi Minh City’s suburban areas. Nhon Trach District in Dong Nai Province was planned to become a new city in 1996. Since then, several infrastructure projects have been implemented, including residential areas. 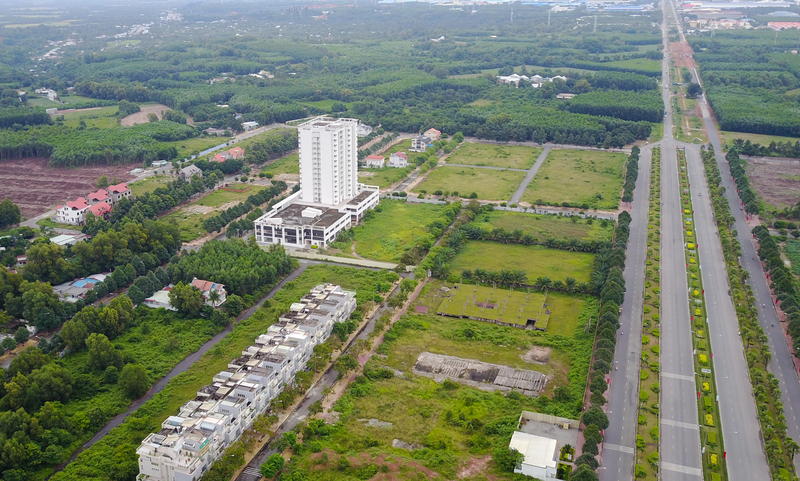 Without enough people and investment capital, Nhon Trach is now an unfulfilled dream, and many real estate projects have been left half done. 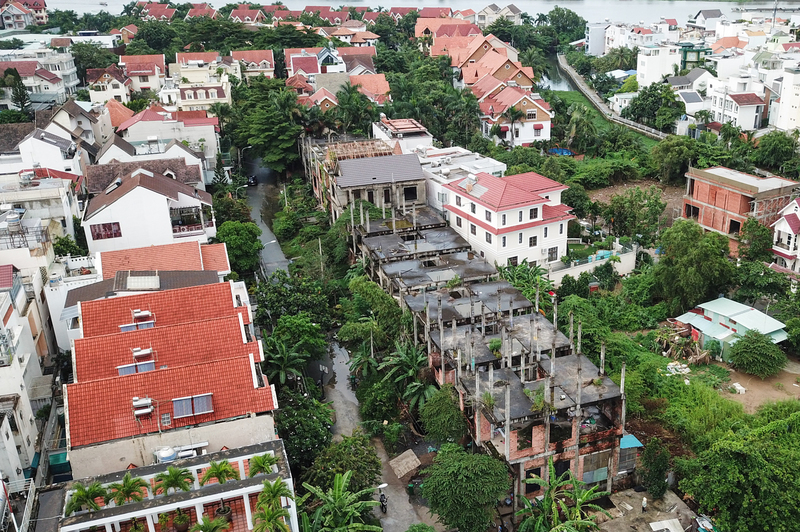 Locals in Nhon Trach say these luxury residential areas are away from the district's center, away from hospitals, wet markets and restaurants. 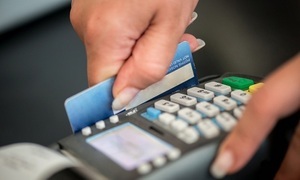 Industry insiders said when investors developed these projects, they focused only on building, and did not pay attention to connecting them with key facilities. 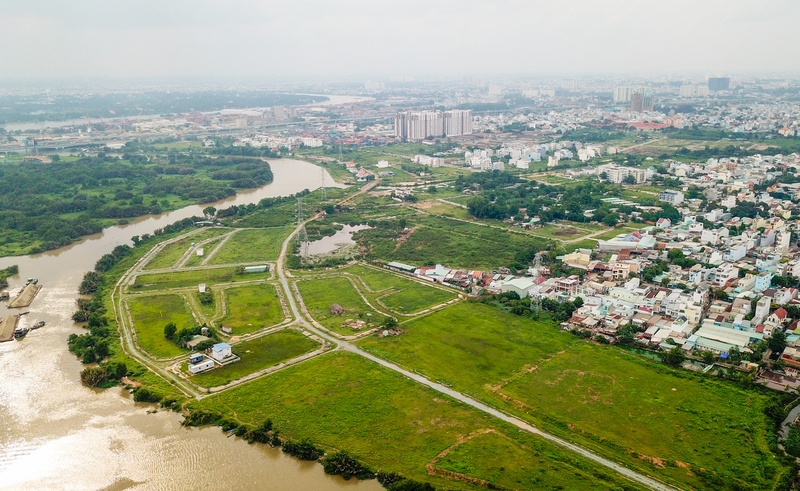 But they hope that when Nhon Trach is connected with HCMC’s District 2 by the Cat Lai Bridge, these residential areas will become more attractive to investors and home buyers. 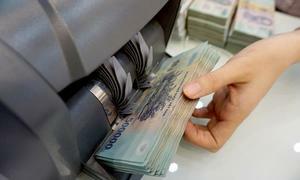 Dong Nai and HCMC have discussed the bridge over several sittings; work is expected to start in 2020.